Why should I be Professionally Evaluated? So that you have an accurate and realistic report on your college division level playing potential through a coach’s lens based on real factors like size, strength, speed, skill sets, instincts and athletic ability. How will a Professional skill set Evaluation benefit me? There are really two answers to this question. First, it will allow you to start your recruiting process on the right foot because you won’t be wasting time reaching out to schools and coaches at the wrong division levels. Second, you will know the specific areas that you need to work on to become a better football player. How will being Professionally Evaluated save my family money? Great Question! 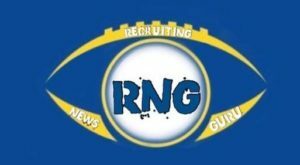 We are sure that you don’t want your family to waste thousands of dollars sending you to the wrong football camps or on a Recruiting Service that you do not need? Are we right? Experience of our MyFootball Evaluators? Over 80 years of playing and coaching experience at every level of football. What is needed from me to do my Evaluation? We need your Grad Year, Height, Weight, Accurate 40 Time, Bench Press Max and Squat Max. We will also need to review your High School Highlight Video so that we can see you in action. How much do I have to pay for my Myfootball Evaluation? Your professional MyFootball Evaluation is available in 3 differenct packages, each package designed to give you the best value based on your investment and taking into consideration the affordability factor for all Families! What is "MFEi" (MyFootball Evaluation Index)? MFEi – is your individual, exclusive skill set evaluation based a combination of your physical size, your athletic ability, overall strength & explosiveness, ability to transfer your skill set to the College Football game and at the accurate level of play best suited for your talents. 80+ years of coaching and playing experience by our staff goes into each MFEi (MyFootball Evaluation Index)!